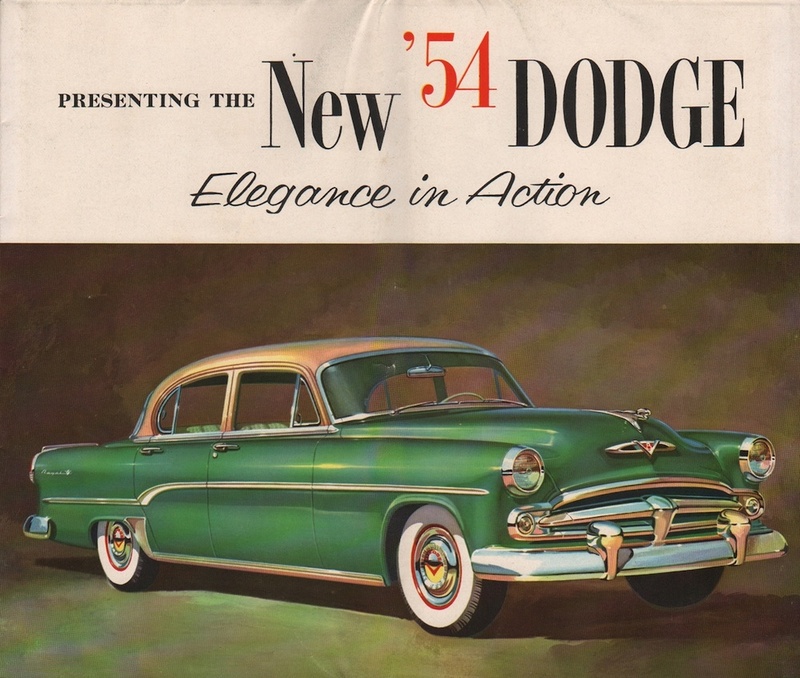 Sales brochure for the 1954 Dodge. Models include the Royal V-8 Series (Royal V-8 4-door Sedan, Royal V-8 Convertible, Royal V-8 Club Coupe, Royal V-8 Sport Coupe) and Coronet Series (Coronet V-8 4-door Sedan, Coronet Six 4-door Sedan, Coronet Six Club Coupe, Coronet V-8 (and Six) Suburban 2-door wagon, and Coronet V-8 (and Six) Sierra 4-door (6 or 8 passenger) wagon). The "Get-Away Six" is 230.2ci 110hp and the V-8 is a 241.4ci 150hp.